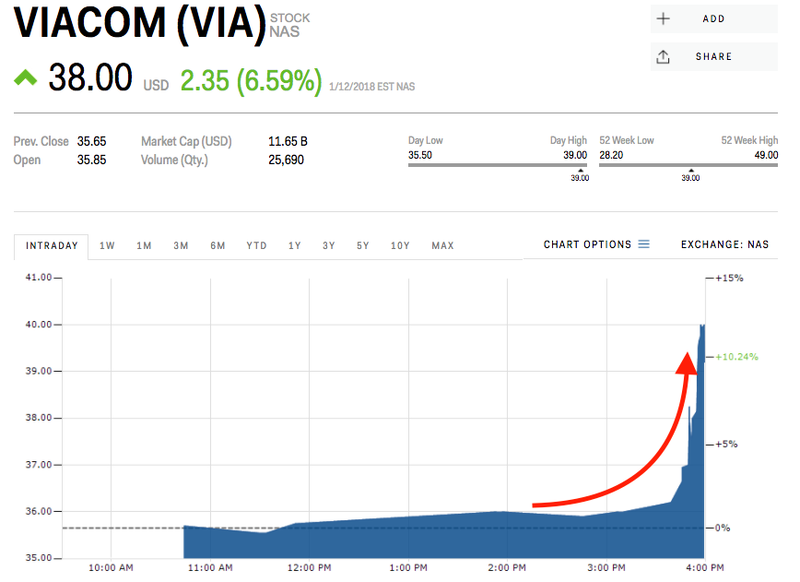 Shares of media conglomerate Viacom spiked as much as 12% just before the closing bell Friday after TheWrap reported it was in talks to merge with CBS. The stock closed up 7%. The news website said CBS chairman Les Moonves is now open to the consolidation, reversing his previous stance, citing three individuals with knowledge of the talks.